Alas Kedaton Monkey Forest Bali is one of the most famous holy monkey forest sanctuary in Bali, Indonesia, the forest covers 6.4 hectares inhabited by monkeys and big bats. The name of Alas Kedaton is taken from the Balinese words "Alas" which means forest and "Kedaton" means the palace (formerly called Keraton). Alas Kedaton monkey forest is a sacred monkey forest located in Kukuh village, Marga district, Tabanan regency, about 35 kilometers from Denpasar city. Kedaton Forest is a small rain forest but it's one of the famous holy monkey forests in Bali island. 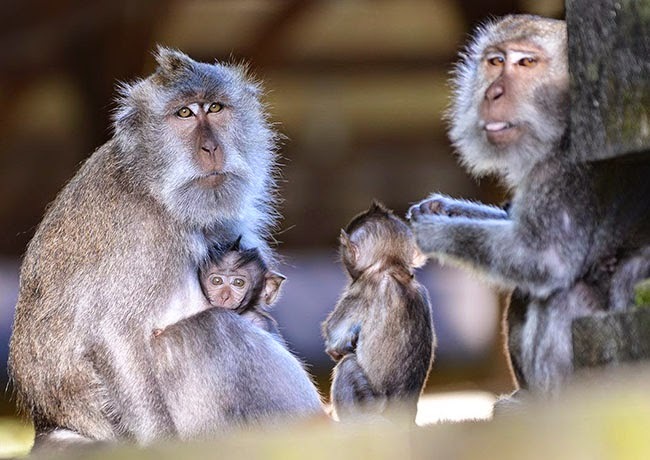 The species of monkeys that live in Bali island and also in Alas Kedaton Forest is the crab-eating macaque (the scientific name is Macaca Fascicularis), also known as the long-tailed macaque is a cercopithecine primate native to Southeast Asia. It is referred to as the cynomolgus monkey in laboratories. It has a long history alongside humans, they have been alternately seen as agricultural pests, sacred animals in some temples, and more recently, the subject of medical experiments. The crab-eating macaque lives in matrilineal social groups with a female dominance hierarchy in the wild, and male members leave the group when they reach puberty. The significant overlap in macaque and human living space has resulted in greater habitat loss, synanthropic living, and inter- and intra-species conflicts over resources. The body length of the adult, which varies among subspecies, is 38–55 cm (15–22 in) with relatively short arms and legs. Males are considerably larger than females, weighing 5-9 kilograms (11-20 lb) compared to the 3–6 kg (7-13 lb) of females. The tail is longer than the body, typically 40–65 cm (16–26 in), which is used for balance when they jump distances up to 5 meters (16.4 feet). The upper parts of the body are dark brown with light golden brown tips. The underparts are light gray with a dark gray/brown tail. Crab-eating macaques have backward directed crown hairs which sometimes form short crests on the mid-line. Their skin is black on their feet and ears, whereas the skin on the muzzle is a light grayish pink color. The eyelids often have prominent white markings and sometimes there are white spots on the ears. Males have a characteristic mustache and cheek whiskers, while females have only cheek whiskers. Crab-eating macaques have a cheek pouch which they use to store food while foraging. Females show no perineal swelling. Alas Kedaton Temple is a megalithic Hindu temple relics of ancient times, which is located in the middle of the Kedaton forest. 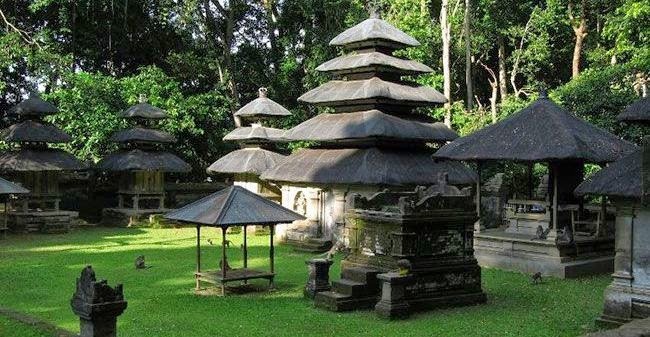 The temple was built by Mpu Kuturan during the reign of King Sri Masula Masuli in Bali around 1178 AD - 1255 AD. Alas Kedaton holy monkey forest is one the most popular monkey forest in Bali, and becoming a favorite tourist destination. This place will be visited by many tourists, especially on public holidays. Visitors will usually be assisted by a local guide who knows the area around the forest to have a look around surrounding the temple and forest areas. The monkeys in the Kedaton forest are very friendly but visitors are always be advised to take care their belongings and not stay too close with the monkeys because sometimes they can also attack when they feel disturbed. Not far from this location also provides shops selling souvenirs, a playground for children, and other facilities.